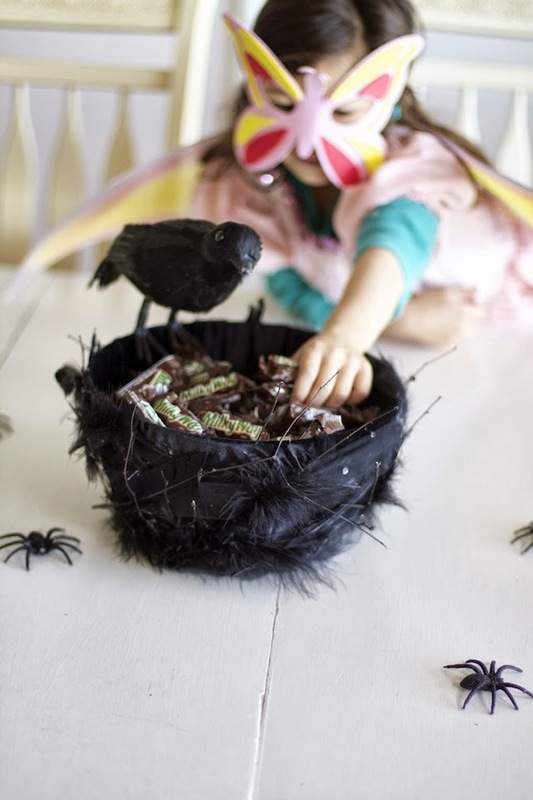 Halloween Bird Nest Candy Bowl! 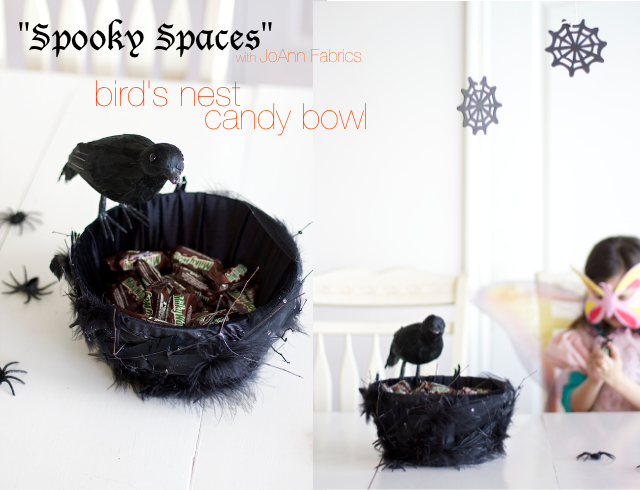 I looove when companies like JoAnn Fabrics contact me to do projects with them. Especially holiday-themed ones. Especially holiday-themed ones where I have tons of freedom to do whatever I want. Freedom is my favorite. I waited until we were on our way to JoAnn's (it's out of town for us) to decide what to make, because I live on the edge, and I came up with this little bird nest bowl! I wasn't sure if I would find everything I needed for it there, but I totally did which was awesome. 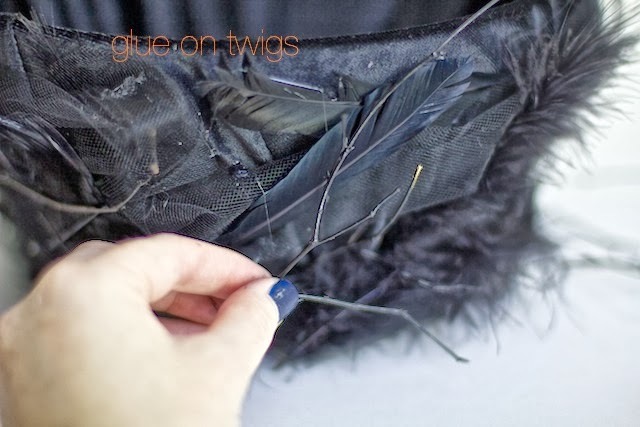 They even had twigs that were already black. Sweet! Although you could totally spray paint your own. 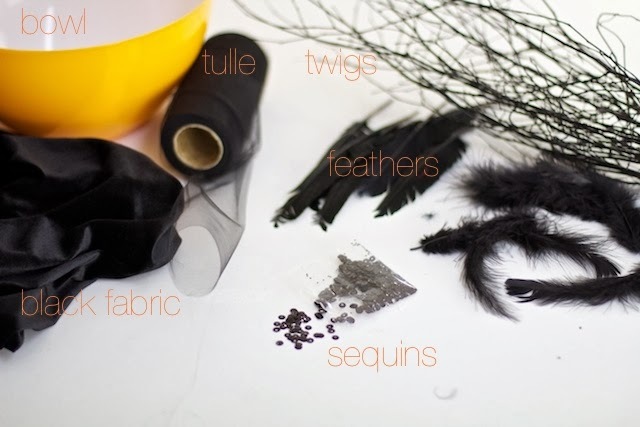 To get started you'll need about half a yard of black fabric. I used velvet, but you could use satin, cotton, whatev. 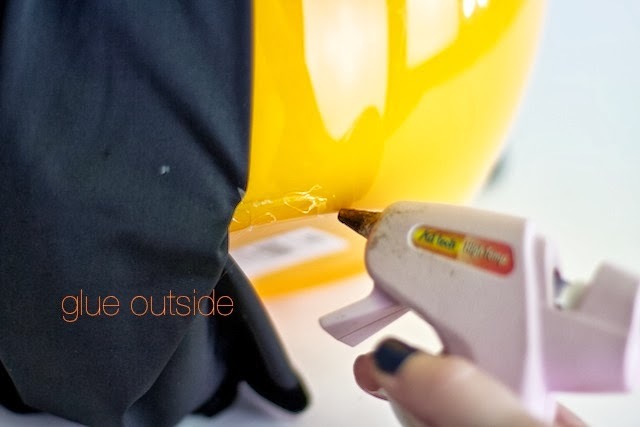 Hot glue the center of the fabric to the inside bottom of the bowl. 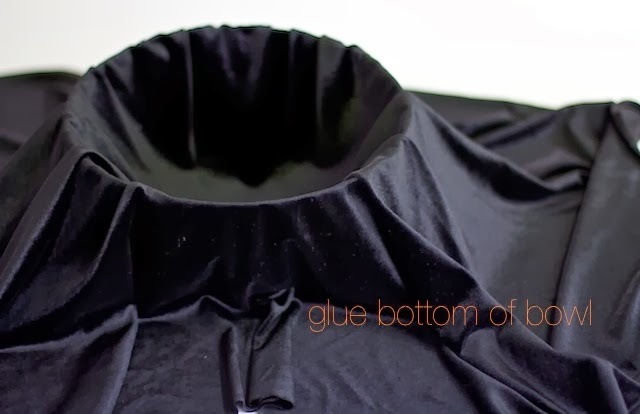 Fold the sides of fabric down over the outside of the bowl and glue on. You may want to trim your fabric up a little first. 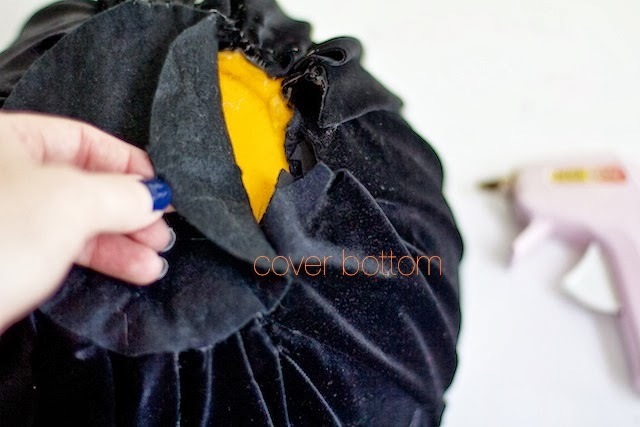 Trim off any excess fabric and cover with a circle of felt. 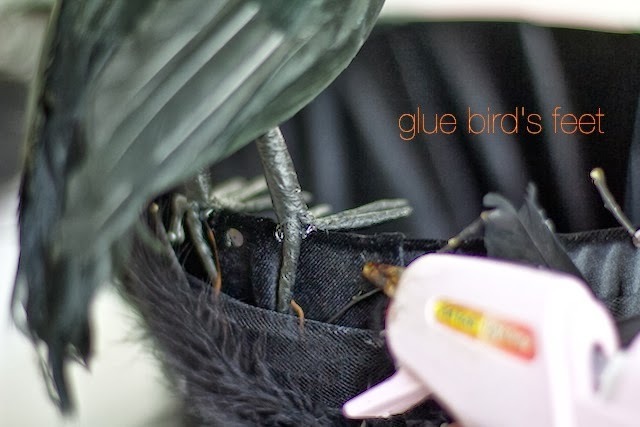 Use hot glue to attach a layer of black feathers. 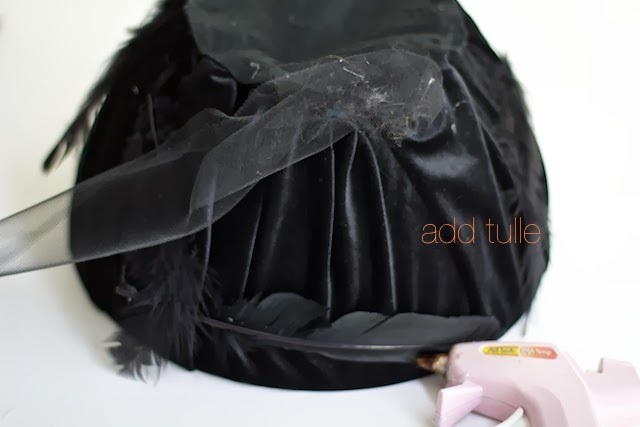 Glue tulle on, covering most of the bowl. Bunch it up in random places here and there until it looks right to you. 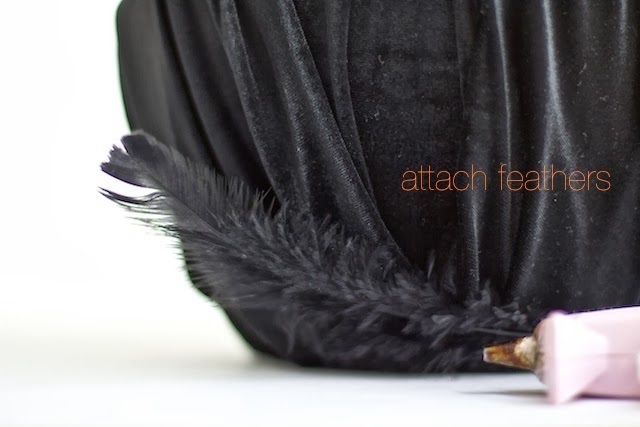 Then add a second layer of feathers. 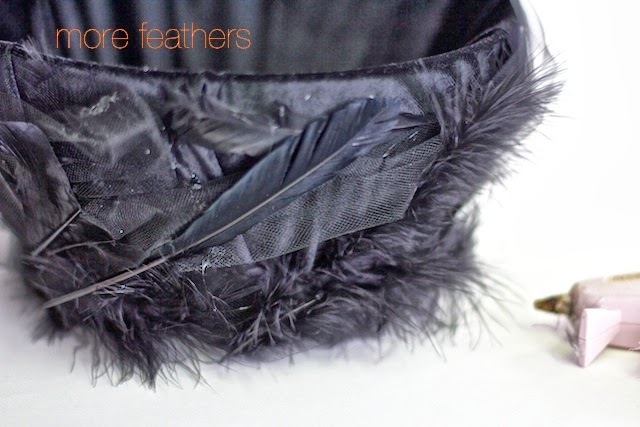 I used a different kind of feathers for the second layer to add a little dimension. 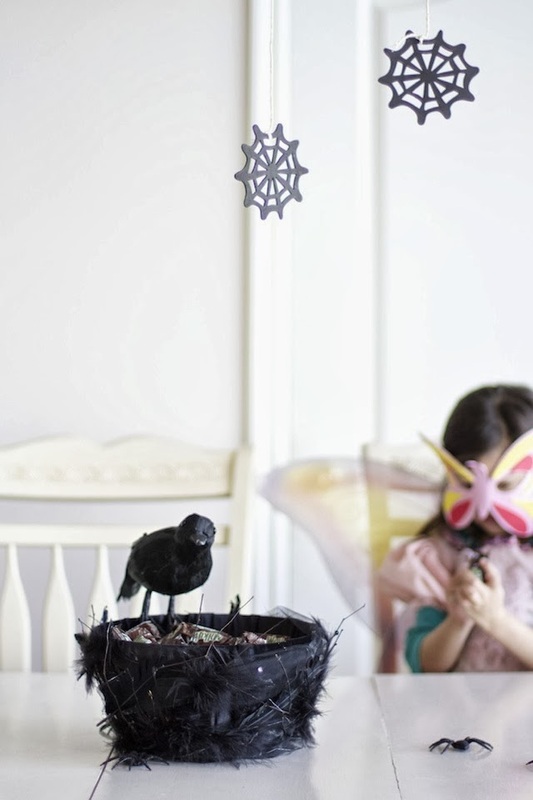 Use #spookyspaces to find the other awesome ideas bloggers have come up with. 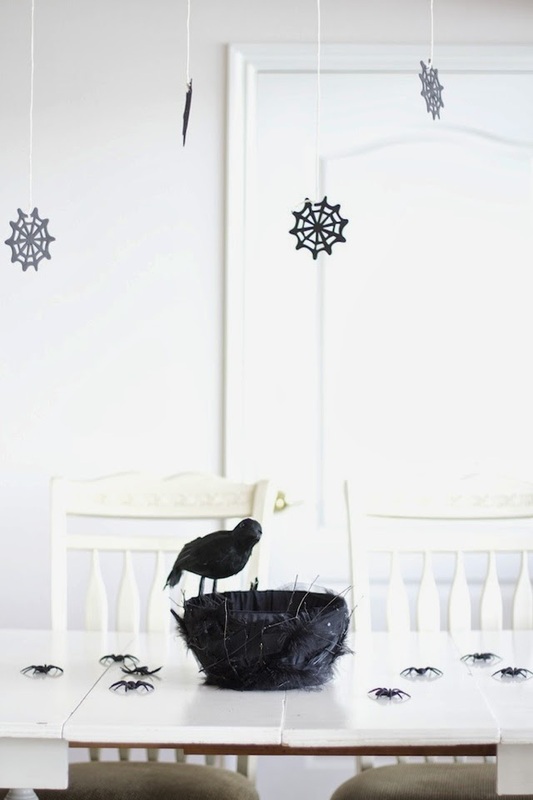 And for more Halloween ideas check out JoAnn's Creativity Made Simple page! And enjoy a sweet 50% coupon to help you shop for any goodies you might need! Have a great start to your week! Yay, Mondays!! Very cool Halloween decoration, Disney. You did a great job. Good job! I love Idea. I worry a bit because there has been no news from you for quite a long time, I hope everything is fine for you and your lovely family. I thought this is a Christian blog and I was inspired by your blog so many times.. 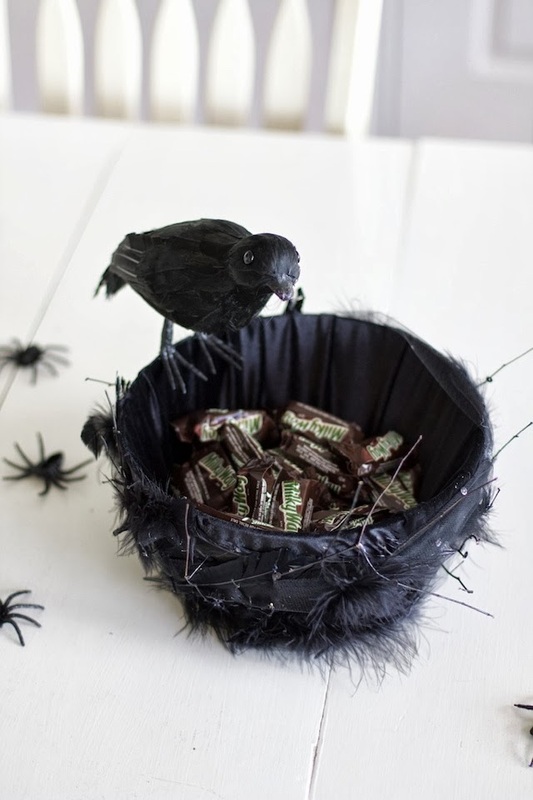 I did not expect Halloween stuff here.. I don't think Christians have anything to do with Halloween....???? Haha well, I don't know if a blog can be a Christian, but I am one. 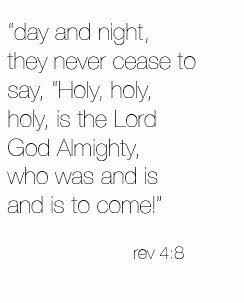 ;o) jk A lot of Christians celebrate Halloween, in varying ways and degrees. 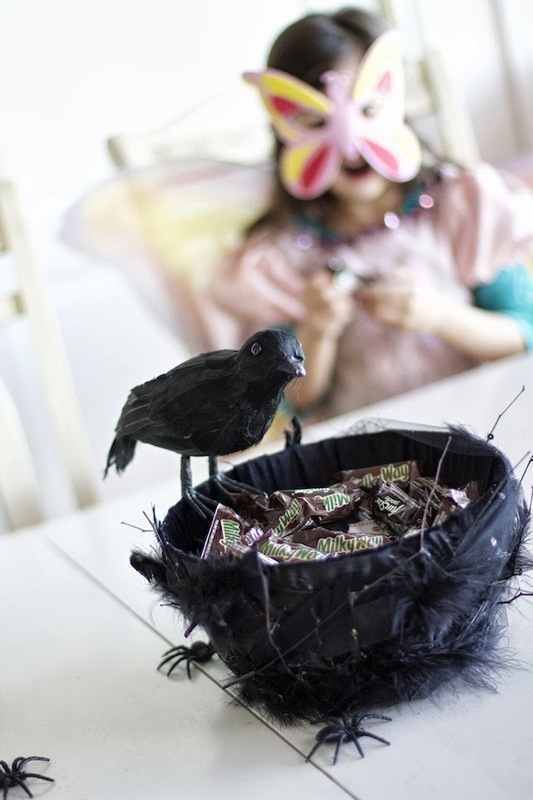 Our family doesn't really, mostly because of how dark a lot of it is, but since there isn't anything about "Halloween" in the bible, it seems like it's up to each person/family's convictions. I sort of think of it as a "meat sacrificed to idols" type thing, like in Romans chapter 14.